LEXINGTON, Ky. (November 9, 2016) — A new partnership between ArchVision and Enscape allows AEC professionals to create stunning visualizations complete with RPC architectural entourage directly from their Revit models. Enscape supports all types of RPC content, including premium human models from RPC content partner AXYZ. Combining the thousands of people, trees and automobiles available with an RPC subscription with the ability to create custom RPCs using RPC Creator tools provides endless possibilities and increased realism when visualizing Revit models in Enscape. Use of RPC content requires a license which can be purchased on the ArchVision website. Enscape is a 3D real time rendering plugin for Revit that creates remarkable visualizations with one click. 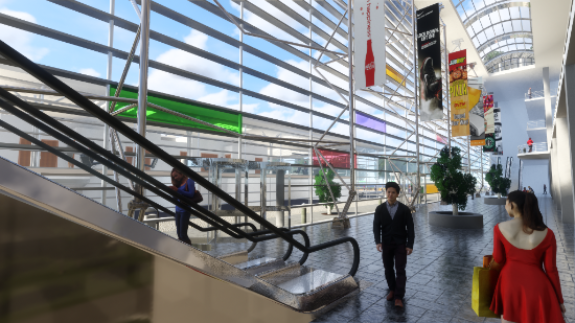 The generated walk throughs can be viewed in virtual reality or exported into a video within seconds. With the addition of RPC support in Enscape, the visual detail level reaches a quality that was never achievable from inside the CAD environment. This allows for faster design iterations with less preparation time thanks to instantaneous presentations. Lexington, Kentucky-based ArchVision improves design modeling and visualization with content and content management solutions. RPC technology provides architectural entourage in the form of people, tree & plant, and automobile content. DETAIL WAREHOUSE, a collection of ready-to-use Construction details, holds over 27,500 Roof, Window, Door and Foundation details and nearly 1,000 components. Enscape enables Architects to create realistic 3D walkthroughs based on their planning data with a single click. Even virtual reality simulations can be started out of the CAD environment Autodesk Revit. It is used for design reviews and client presentations. Leading architecture offices like Foster + Partners, KPF, HDR and NBBJ have integrated Enscape into their daily design workflow. The company was founded in 2011 and is based in Karlsruhe, Germany.